Siri has arguably been the main focal point of iOS 5 since Apple’s latest and greatest mobile operating system dropped in mid-October of last year. The standard and indeed the number of exploits available has reached an unprecedented level, boosted massively by the release of the A4 and A5 jailbreak utilities in late December and January respectively. In the last two weeks since that final hurdle of jailbreaking the dual-core iPad 2 and iPhone 4S was overcome, we’ve seen a wealth of Siri-based tweaks helping to make the fruit company’s system-wide voice recognition technology even more useful than it is at stock level. Just yesterday for example, we covered MyAssistant – possibly the best we’ve seen yet in terms of custom Siri commands. The latest, created by developer Ron Melkhior, is a simple-yet-useful tweak which significantly reduces the amount of screen real estate allowed to Siri upon activation. 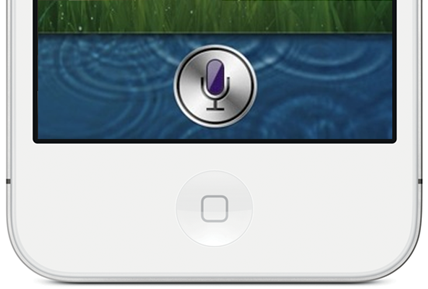 Named TinyAssistant, it downscales Siri’s interface to app-switcher size, while also hiding the rather unnecessary “help” function, which can be accessed by voice. There are no customizable settings whatsoever, and if you prefer the rather bloated look of Siri, simply uninstall via Cydia. This iOS 5-only tweak requires Siri, which can be installed as Spire on devices other than the iPhone 4S. For details on how to install the legal Siri port – compatible with iPhone 4, iPhone 3GS, iPod touch, and iPad 1 – please check out our feature-length post on Spire via this link. TinyAssistant is available over at the BigBoss repository – a default repo in your source list unless you’ve chosen to delete it; and is free of charge. Who doesn’t love free tweaks like these anyway, right?